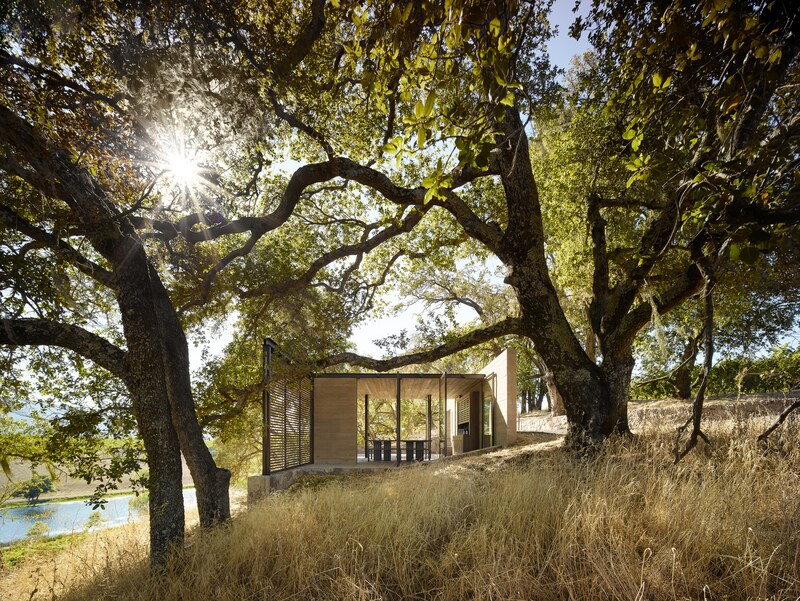 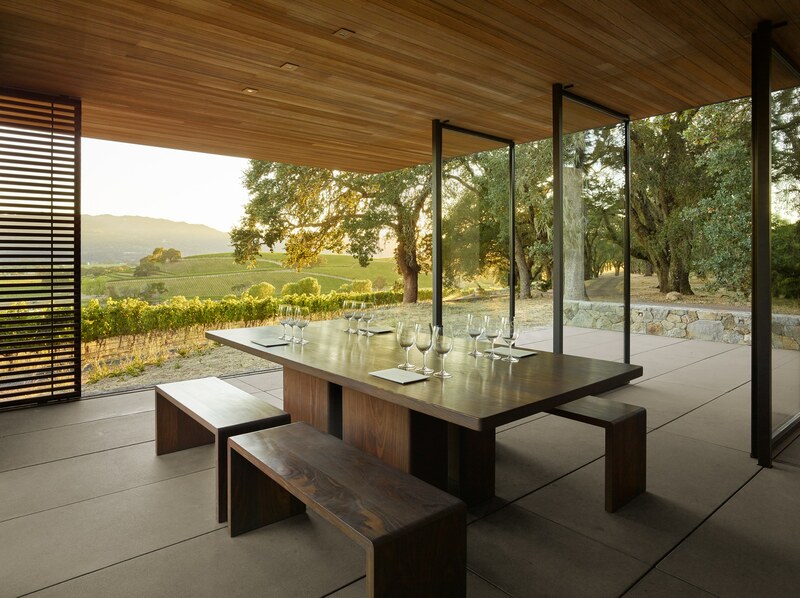 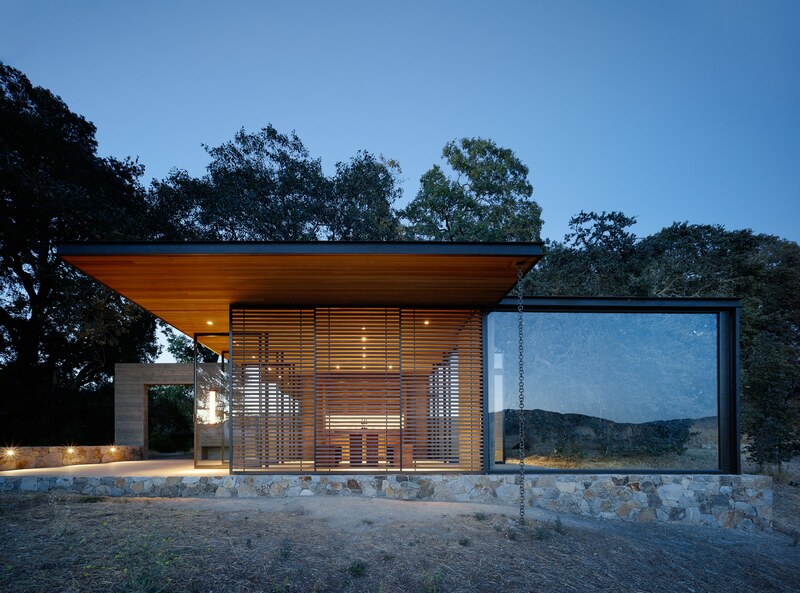 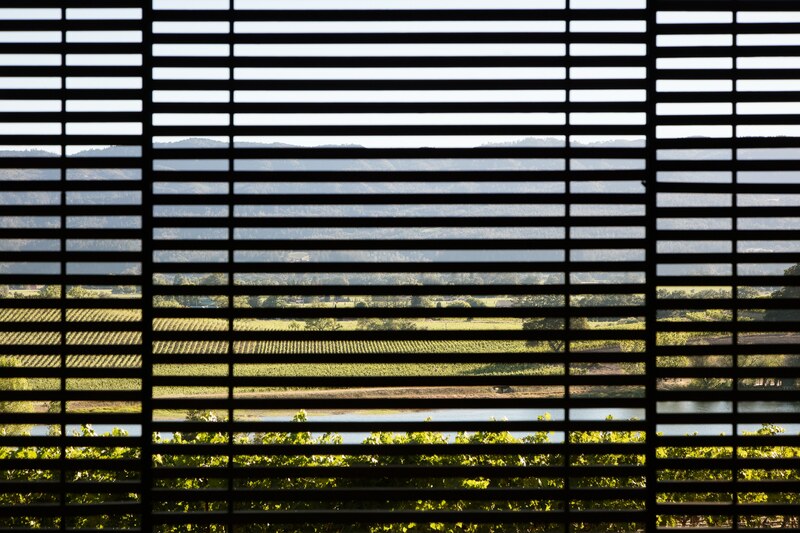 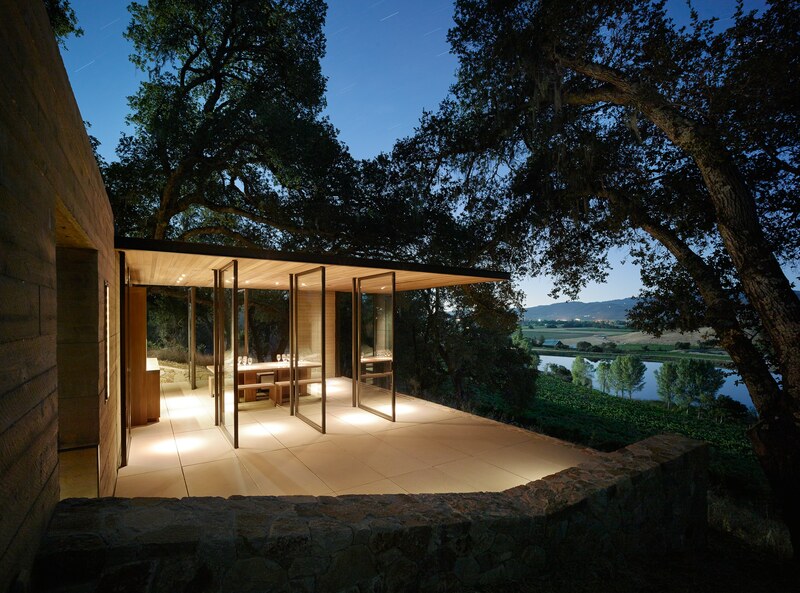 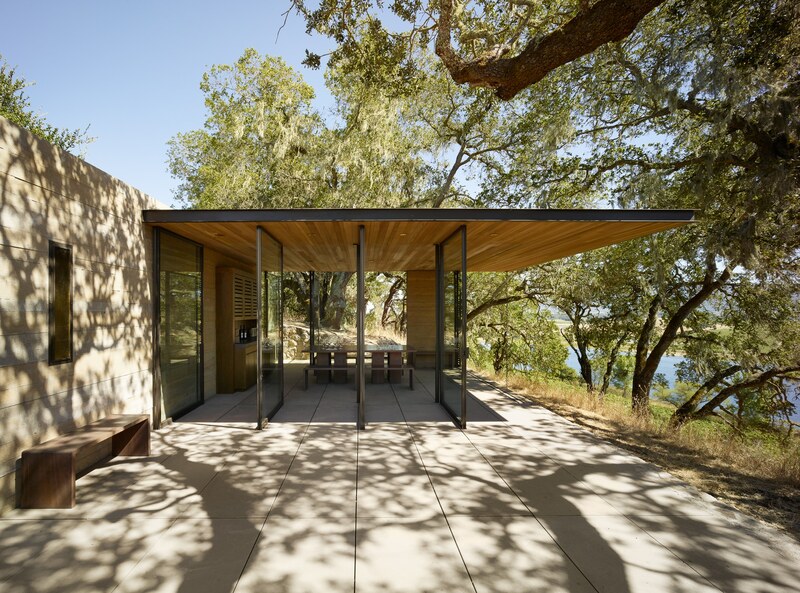 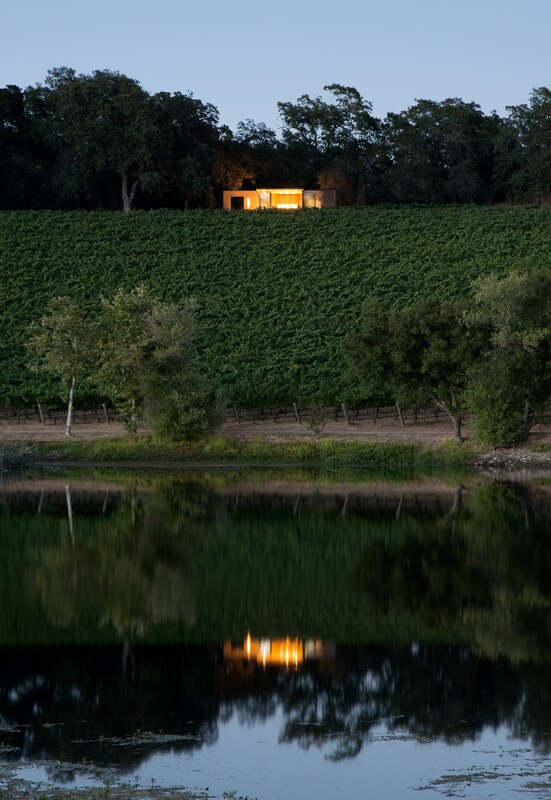 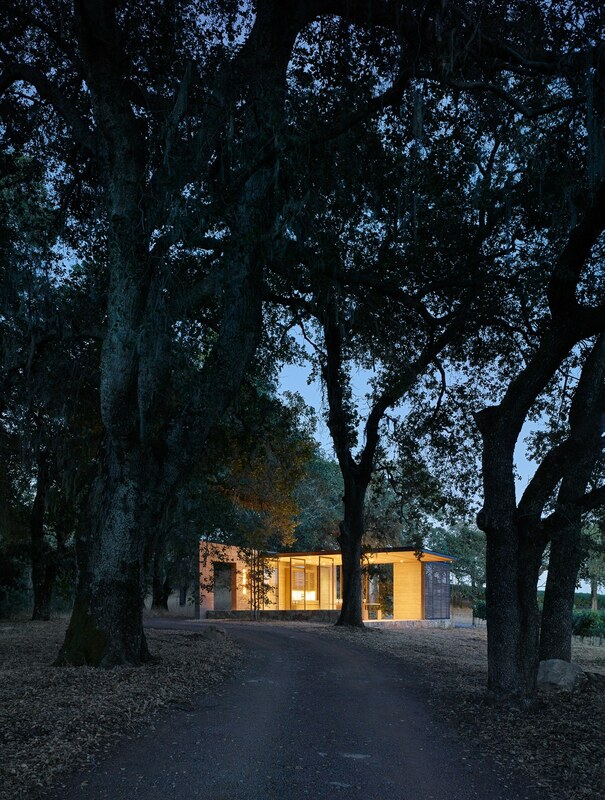 The three private 250 square foot tasting pavilions are nestled amongst ancient oak trees atop a ridge located on the Quintessa Winery estate. 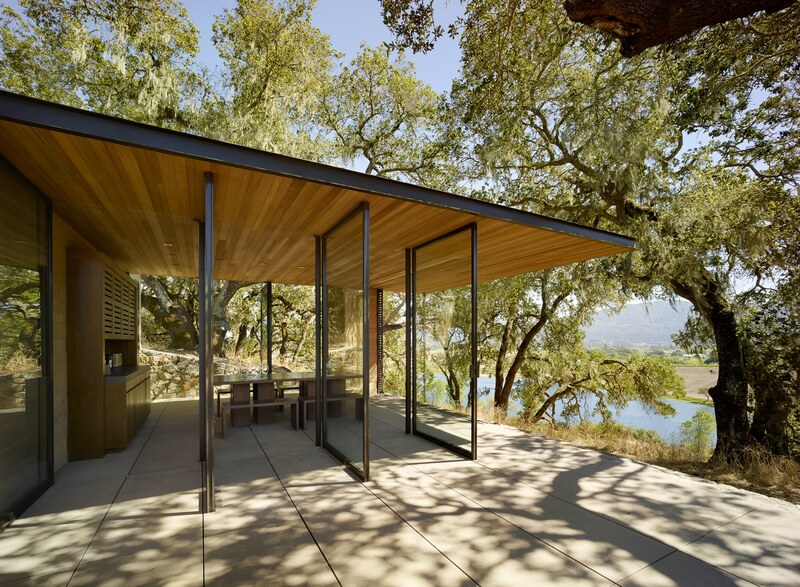 Each secluded pavilion overlooks the rolling hills and an estate lake and can be entirely open-air in mild weather or can be fully glass enclosed in inclement weather or in the heat of late summer. 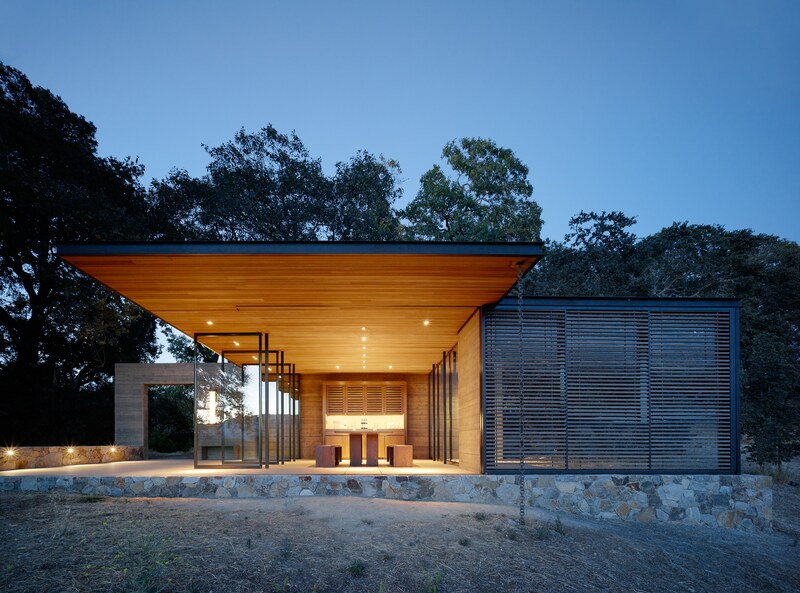 The roof fascia, among other architectural elements, is structural. 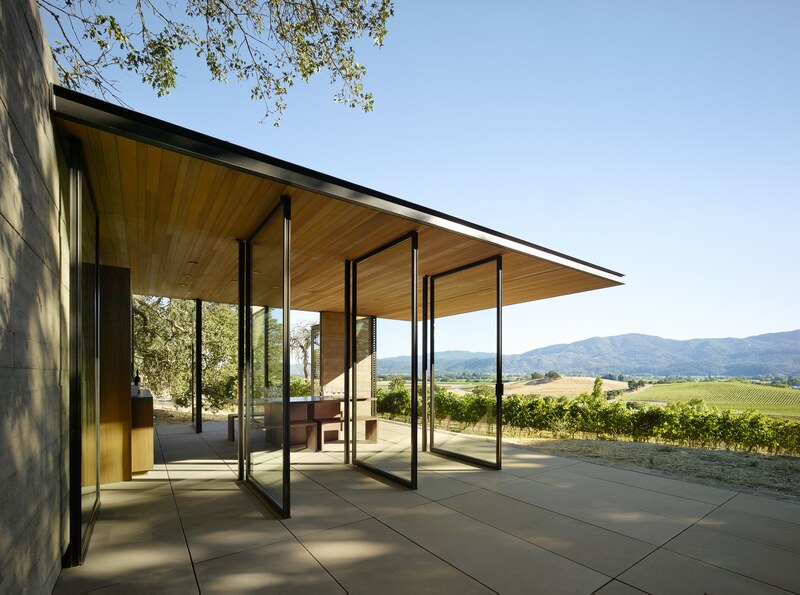 The C6 fascia is cantilevered from the primary structural framing to achieve the surprisingly thin roof eave given the structure’s 11’-6” overall cantilever. 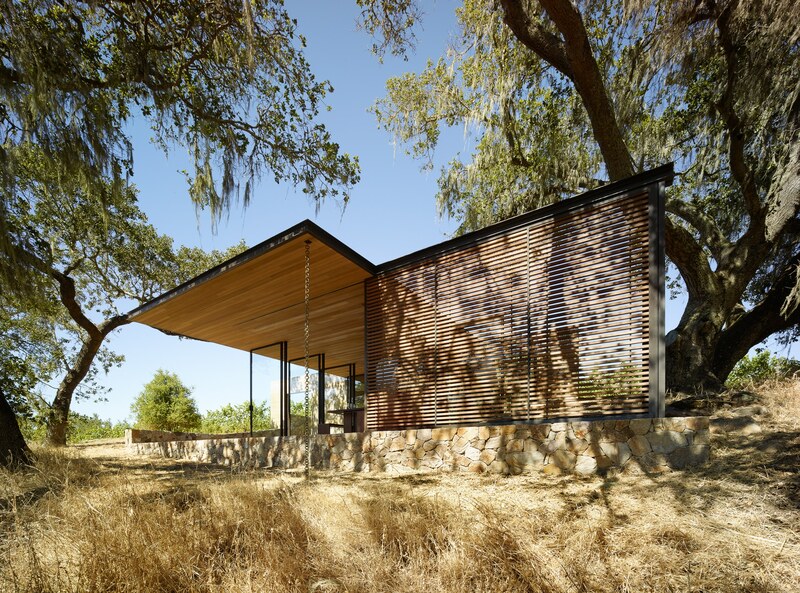 The gutters have been incorporated in the roof system through a series of notches in the primary roof framing members to conceal the gutters and give the pavilion roofs an exceptionally clean appearance. 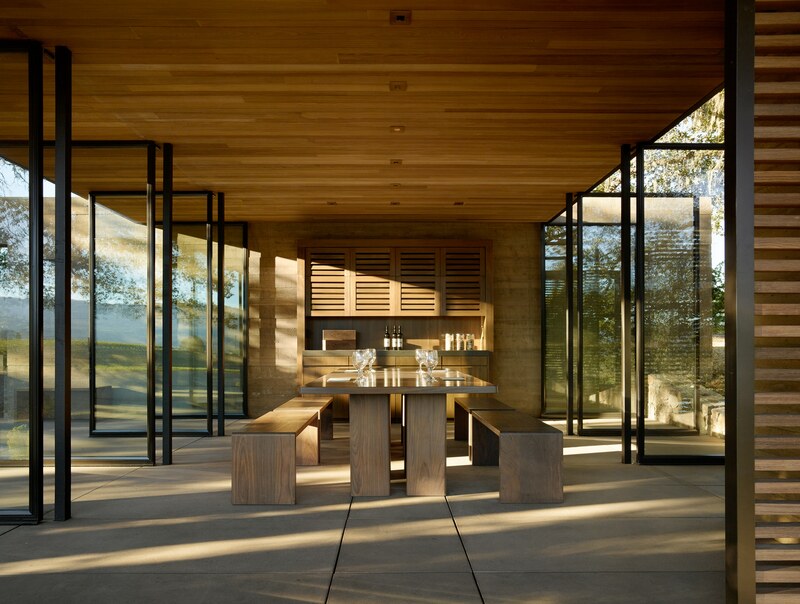 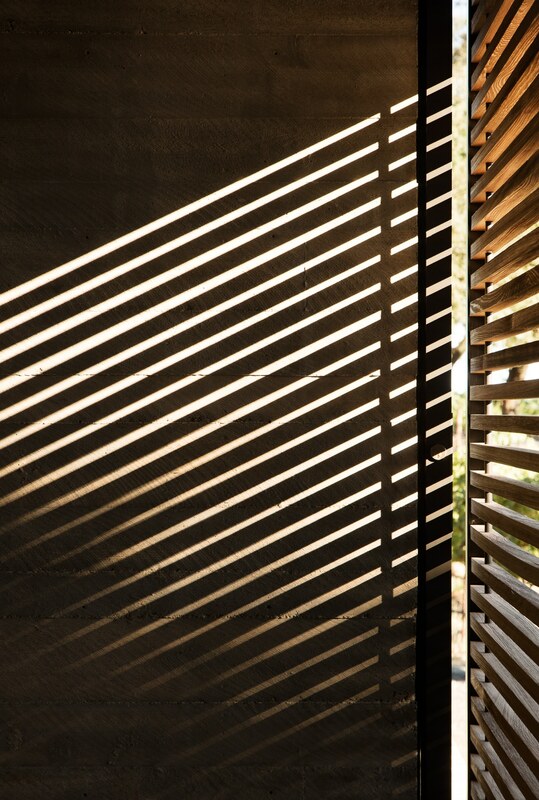 The steel posts are built from solid bar stock (and incorporated with the glazing system) to provide a slender, square corner, almost non-existent support appearance. 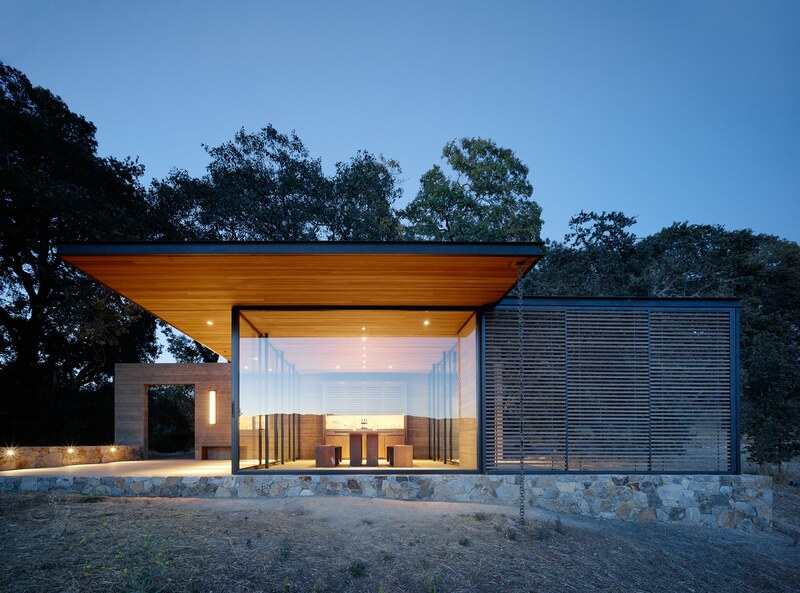 The architecturally board-formed concrete walls are utilized as both shear walls and out-of-plane cantilever columns to provide lateral load resistance in each direction without being obvious structural elements.